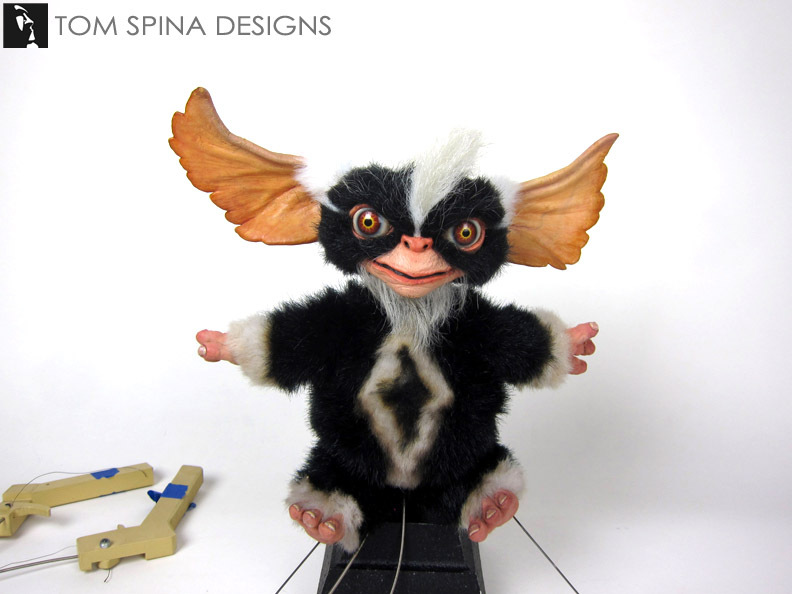 A subtle restoration project, of a foam latex Mohawk mogwai puppet used in Gremlins 2, the New Batch, complete with his original controls. 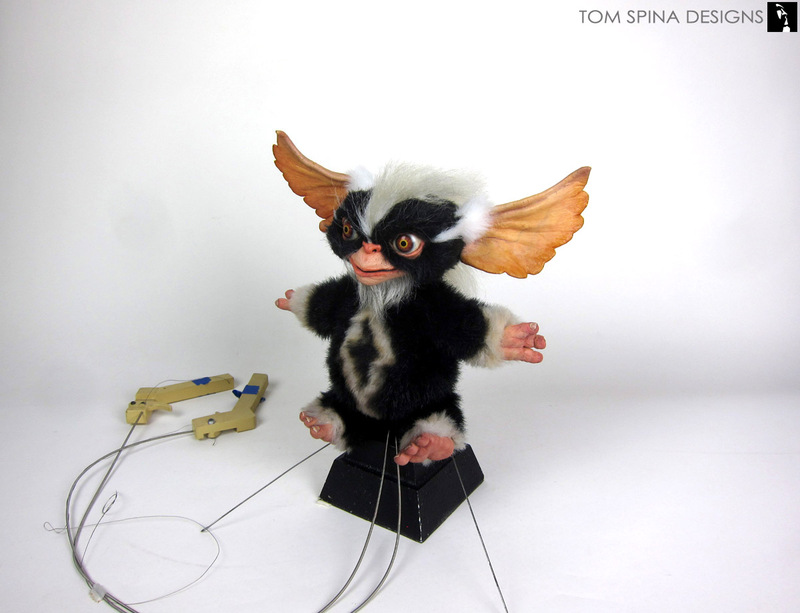 This original Mohawk mogwai puppet arrived to our New York studio in very good condition considering it was made for the 1990 film. 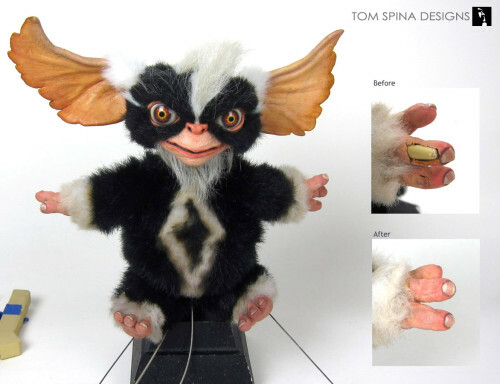 Made by Rick Baker’s Cinovation Studios, this particular Gremlins prop only needed light repairs to his hands. 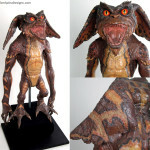 Bakers studio brought a lot of character to the creature puppets in the sequel. 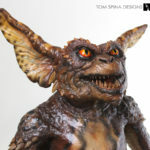 Perhaps the most villainous of all the characters in Gremlins 2, Mohawk’s evil look shines through in both his Mogwai and Gremlin forms and this puppet really showcases a deliciously evil smile! 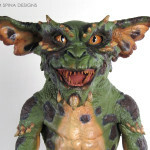 The movie prop was originally animated via a mix of rod and cable controls, all of which are present, and he features tons of detail in his foam latex face and acrylic eyes. We examined the mogwai prop for damage and then took steps to help stabilize those areas. 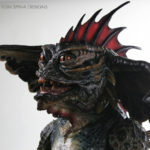 In this case, the damage was quite small and mostly contained to the foam latex hands, which were cable activated, so some wear and tear is expected. 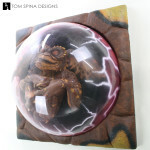 We carefully patched any missing foam latex skin and blended over cracks for a seamless look. Then all of the repairs were paint matched to match the surrounding original material. When we talk about paint, we refer to “in painting” which is a museum conservator style technique where only the repairs are painted, leaving the existing, screen used skin as untouched as possible. We’re always mindful that these props are Hollywood history, and make efforts to preserve that history and help keep these works of art around for people to enjoy for years to come!